You can download detailed assembly instructions on this page in portable document format, both in low and high resolution. If you don’t have a program installed to view .pdf files already, you can download the Adobe Reader here for free. Power cord with safety plug and socket. You can plug T-STRIPE into any outlet. We generally recommend the purchase of complete sets, especially when you want to try out T-STRIPE on one of your windows before purchasing more, or if there are only a few windows you wish to equip with T-STRIPE. Save yourself the trouble of manually plugging the heating system in and out constantly. We recommend time switches or thermostats for this task, also available in our webshop. Picking parts individually pays off whenever you want to equip several windows at once. 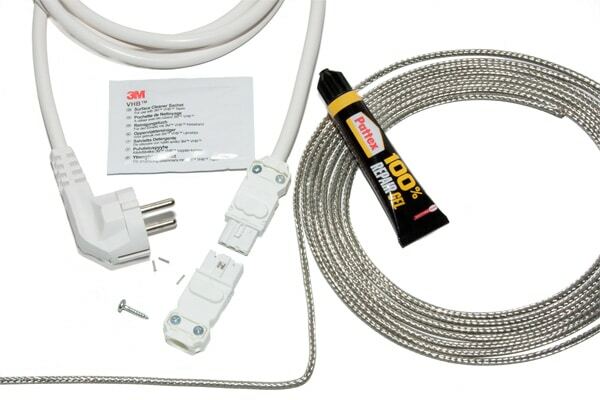 A big plus compared to the complete set is the doubles-sided adhesive tape which makes installation of the T-STRIPE heating system simple, clean and easy. No matter what you purchase, a thermostat is always recommended, saving you time and trouble when operating T-STRIPE. Usually with plastic windows it’s possible to remove the glass strip and install T-STRIPE beneath it. 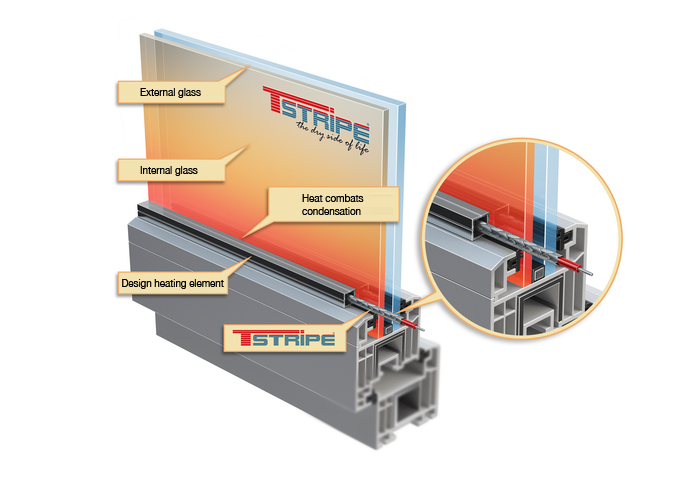 If this is not possible then T-STRIPE can always be attached to the window pane directly, either with the liquid adhesive or the double-sided adhesive tape. Using the aluminium bar should always be considered as well. Wooden windows seldom feature removable glass strips, so most of our customers decide to either attach the heating element to the pane directly, and for the bigger part they also decide to use the aluminium bar to hide the installation. The bar comes in silver, but can always be powder coated to fit the colour of your wooden frames. 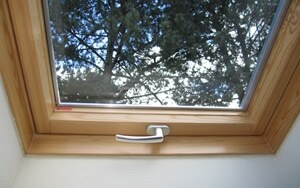 This type of window usually benefits a great deal from the aluminium bar used to hide a T-STRIPE installation. 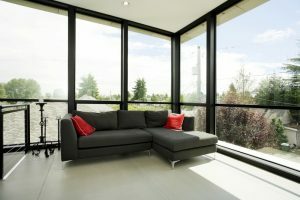 The bar can be powder coated in any colour you like, but just as with the other types of windows, T-STRIPE can be directly attached to the window pane or installed behind a removable glass strip.